Loss...And the Power of Resilience. It’s been a while since you heard from us on our website. No worries though. We have been quietly doing the work we always have, although for a long time with sad hearts. 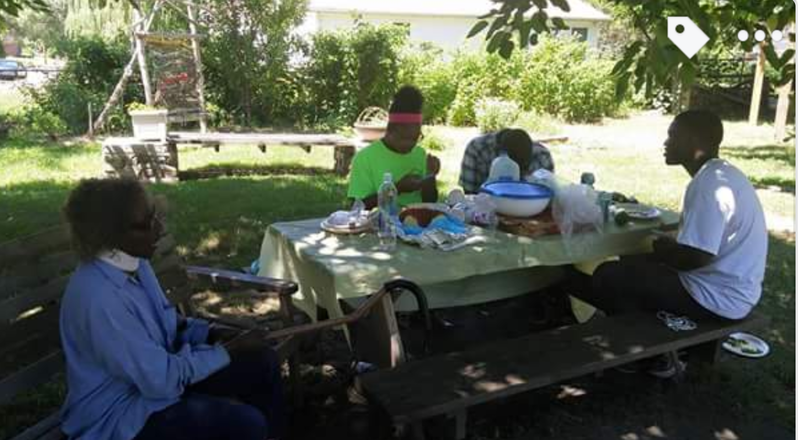 City Rising Farm is a family and like families we experience the highs and lows of life. Over the last three years we experienced significant high points, challenging low points and the saddest, most devastating experience a family could endure. In 2013 we met many people, one of them being this smart, energetic, charismatic young man named Johnteze. This young man showed us what it meant to find your way through the trials and tribulations that could pop up when life comes at you hard. He reminded us that “we” might be fine, but that there were people that needed help and that “we” needed to be open minded when involved in the community. Johnteze would be the first to tell you that he was not without challenges. He was however, the one that showed us not just how to triumph over those challenges, but how to bring others along to have their own successes as well! He was also the teen tasked with working with the residents of Crawford Manor Healthcare Center in Hough. His lively, caring spirit brought joy to the residents. He was always thinking of new ways to engage them when he visited with his collaborator Terah McNeal. 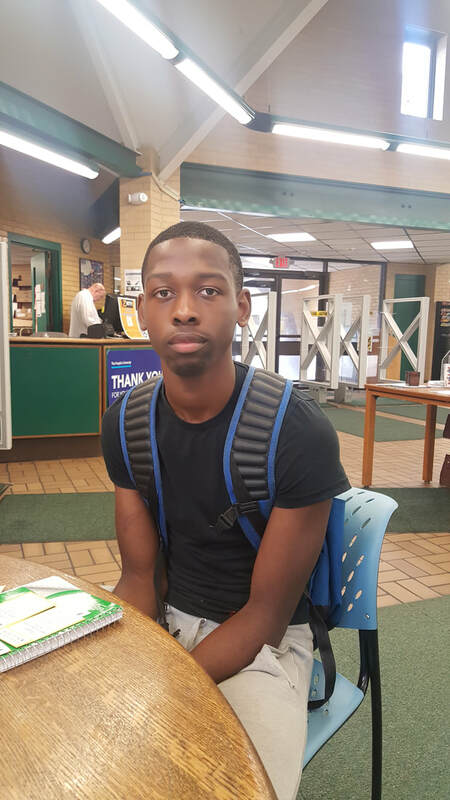 ​Johnteze worked hard and was the youngest person accepted into the Step Up to UH (University Hospital) employment program a collaborative effort of the Neighbor Up Network, UH and Towards Employment at that time. ​He studied hard and was one of the people chosen to work at the hospital. 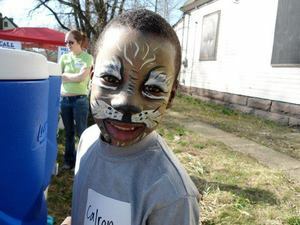 It was a joyous outcome for Johnteze, his family, his City Rising Farm family, The Neighbor Up Network, and all who knew him! The pride of this accomplishment was evident is his smile and the extra pep in his step as he walked. Our pride at his achievements was immeasurable. A few weeks before Johnteze was to start his new job at University Hospitals, to embark on the next phase on his life journey, he was taken from us. Taken in a most violent and senseless way. His family, friends, admirers, and supporters were all shaken to the core. That began a long period of quiet work from us at City Rising Farm. We didn’t know how to move forward after this tragedy. Well most of us didn’t. Mrs. McGregor, the "Rock" of City Rising Farm told us that Johnteze worked hard at building CRF up and that he would be disappointed in us if we failed to keep going. She was right of course. She always was! After this tragedy I opened an email I had received from Johnteze. It was his latest letter of support for a grant we were writing. In that letter Johnteze spoke of the dreams he had for City Rising Farm and the people of his/our community. That letter was opened too late to share with him how great it was. It was however the light. Johnteze left us the light we needed to challenge the darkness we felt at his passing. He left a brilliantly lit, vibrant path on which we could move forward. Mrs. McGregor had told us that. She knew, believed, even when the rest of us still shaken weren’t sure we could. Now we had proof in his own words! He spoke of his desires for the youth and the seniors. He wanted to be sure that the “newcomers” felt welcomed and valued. Most importantly he wanted to make sure that there were resources, education, and opportunities for everyone! So with that road map we moved forward and continue to do so... in his memory but also as a testament to his belief in the gift of resiliency! Today we had work at Thurgood Marshall Rec Center. We were hosting Hough Neighbor Night. It was fun just sitting and sharing your ideas with other people. Hough Neighbor Night allows you to share your ideas and other people will help you come up with a plan to make it happen. Earlier this week me and Tay made a robo call so that people would come join us. We basically said that everyone was invited and where it was located.When we got there a Lady had said she heard our robo call and it made her want to come out. That made me happy to see that I had been a positive influence on someone's decision. 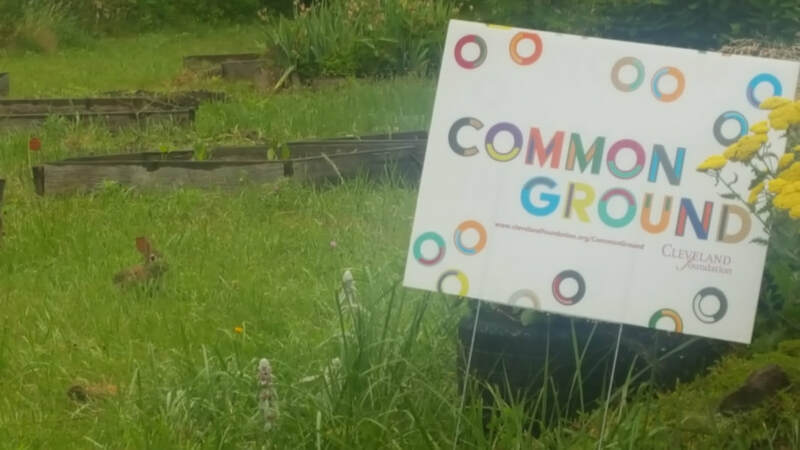 Common Ground was today and it was fun. I had got to the farm at 8:am today. I started setting tables, food and chairs. When people came it was fun because you could just sit there and enjoy their company and conversation. I was interviewed about what I wanted to see for kids and teens at the farm. Today I noticed there was cacti planted everywhere on this house at the end of the street. I mentioned it to Ms. Elle and she took us to meet Ms. Ratcliff. Ms. Ratcliff is very nice she told us how she was able to grow the cactus and she even gave us some to plant at the farm. 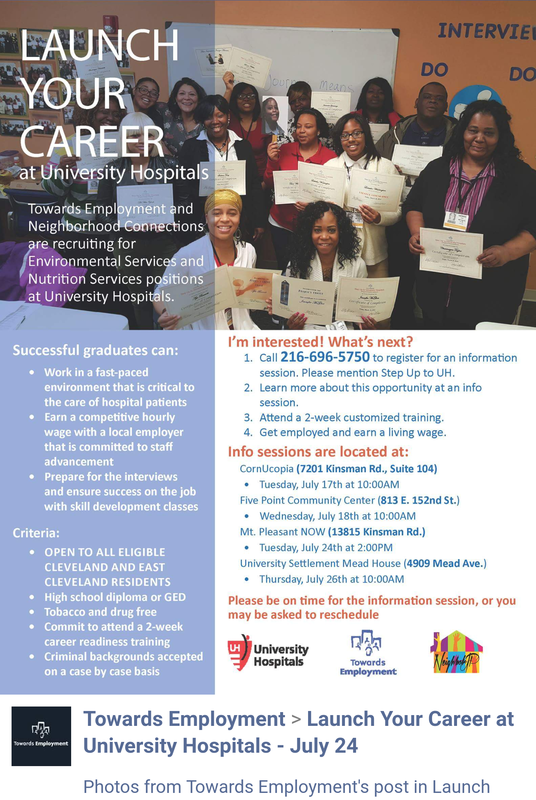 Neighboring Up At Neighborhood Connections and Crawford Manor! 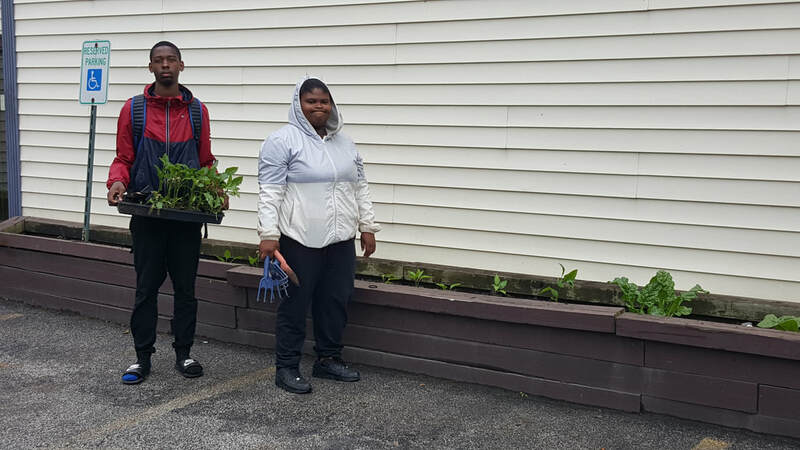 06/27/18 Today we spent sometime at the Neighborhood Connections office and then planted at the Crawford Manor raised bed. At the office we helped Ms. Cynthia file. I enjoyed doing this because it was easy and me and Tay was talking having fun. A little later we went to Crawford Manor and planted. As we were planting we saw Swiss Chard. It was a really big plant. After we finished planting we went home. Today Tay and I had to come to work at 8:00 am. 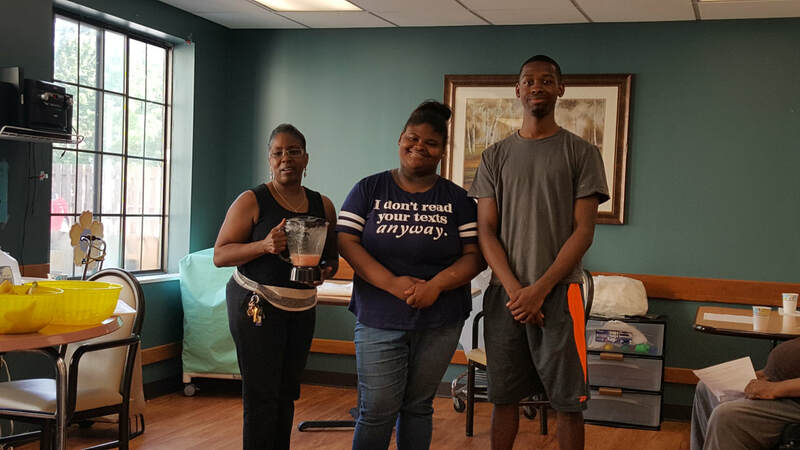 We were planning to make smoothies for the elders in Crawford nursing home with Ms. Cynthia. I began loading the car with stuff we planned on using. When we got to Crawford Manor Healthcare Center I began unpacking. Ms. Cynthia was the leader of the activity. She planned on playing bingo but switched to a nutrition talk and a raffle. It was good because everyone was engaged and happy. Today I restored the Earth loom. In the future I plan on putting more stuff on it. I feel like it needs more color and something that will catch peoples eye. While i was restoring the earth loom I could see where the old Y.O.U kids put the string and I felt that was pretty cool because it helped me a lot. Today was the 11th Annual Health Fair at the Lakeside Baptist Church in East Cleveland, OH. I was one of the many people that had an information table there. I am a Neighbor Up member and that's what my information table was about. 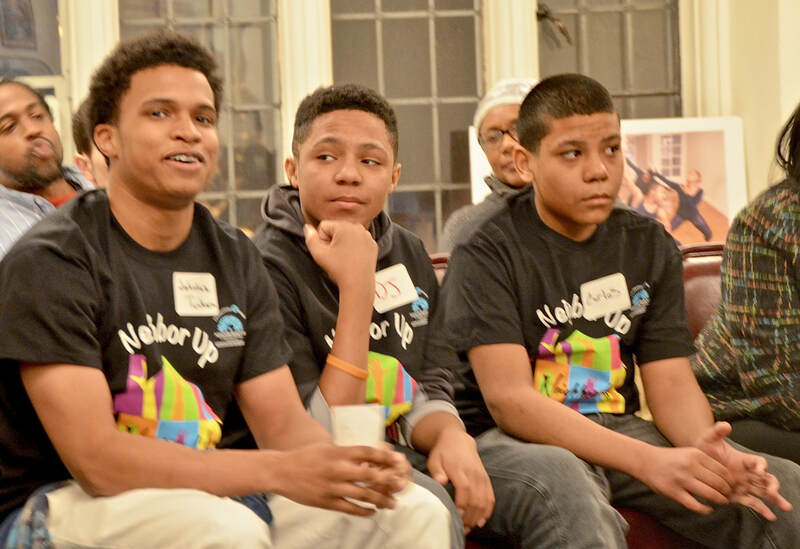 I met lots of people and I found out how they wanted to impact the community. I helped around the church and set up and broke down tables and chairs. They had lots of stuff going on at the church. A doctor came and talked about how bullying affects people. She was mainly talking to the youth because this is who she believes it affects the most. By attending this heath fair I had received another job opportunity for November as well. The job position is a poll worker. Before we left I had saw the mimes perform outside. I felt like they did a wonderful job. After that we unpacked at my Dad's house (he let us leave the tent and table there). Thanks Dad! Then I was off for the rest of the weekend. Mrs. McGregor: She Told Us So! You’ve heard us speak of Mrs. McGregor often. She was our rock from the beginning of City Rising Farm, when we were just trying to figure out what and how to do what we were dreaming of. She was the person we all turned to for guidance whether it was personal, professional, farm, or community related. Mrs. McGregor was who we leaned on when times were tough. Death, illness, hardship. She was there. Mrs. McGregor was also there to make us laugh, mesmerize us with stories of her youth growing up on a working farm in Hartselle, Alabama and her northern migration to Cleveland, OH. When guidance was needed she gave us her home spun education in urban agriculture that couldn’t be matched. At first glance her tiny frame belied the indomitable spirit that brought life to it! Only a short time later did you realize that that tiny frame compacted all of that energy and sent it barreling forth with such force that it could hardly be contained. She used that force for the good of her family, friends, and community! If there was a challenge Mrs. McGregor was there to guide and support us as we worked to meet it. 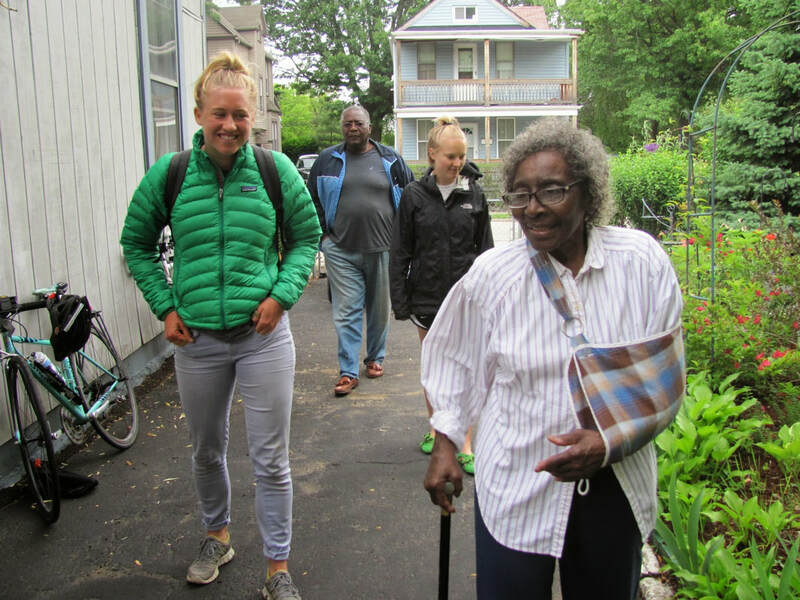 When the Blaine Avenue Community Garden was first proposed it was Mrs. McGregor who got signatures from the residents of the community to ensure that it would happen. 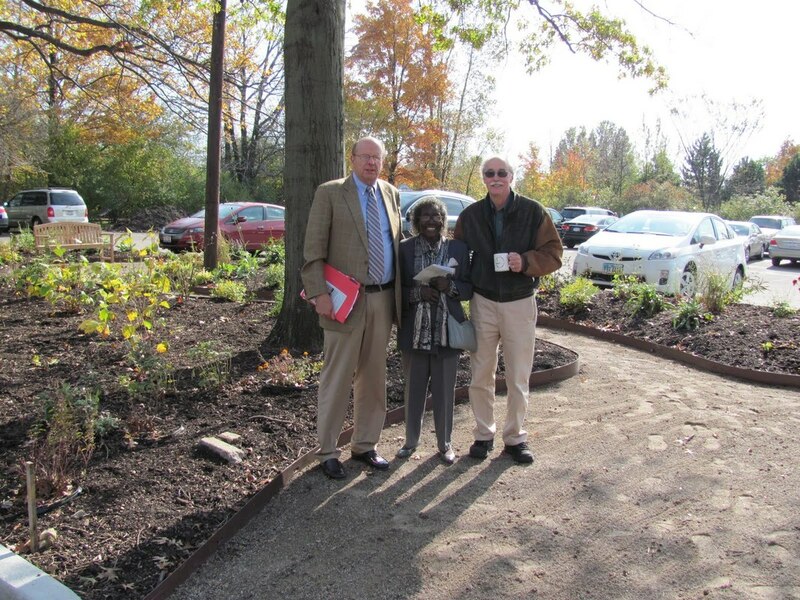 She also was the catalyst for the Hough neighborhood being included in the inaugural GardenWalk Cleveland. Hers was a featured garden. People came to Hough looking for Mrs. McGregor's garden! She helped other gardeners get ready for the event, supplying them with plants from her own garden along with whatever else they might need. Mrs. McGregor was in her eighties when we met back in 2008. I didn't know it then. In fact most people didn't know how old she was because she out worked us all. It was embarrassing working beside her at City Rising Farm because by the time we finished weeding or picking a bed she had done at least three times more. Mrs. McGregor was a Neighbor Up Network member too! She enjoyed the Greater University Circle gathering and especially loved the marketplace! Never one to waste anything she loved sharing what she had during that practice. She found things there too, including great friendships. During the latter part of 2016 Mrs. McGregor starting getting tired. This was something that we just didn't expect or had ever seen. She told us that she was old and we couldn't expect her to always be around. ​We of course heard her but we did not take it seriously. We never let ourselves believe that she wouldn't be around, that we wouldn't be able to stop by her home and sit on the front porch to chat or take in the cool breeze on hot days. It's been over a year now and we are walking the path that Mrs. McGregor said we should and would. Her strength and resiliency during the tough times taught us to stand tall and keep moving toward our goal. When we questions ourselves, or are thinking through our next steps at the farm we think of Mrs. McGregor. We see her in all of the good work that happens at City Rising Farm! We see her in the wild petunias that grow all over Blaine Ave. We see her in the 6' Mimosa tree in full bloom that she planted as a seedling. ​We see her in the triumphs of the young people she nurtured through our many workshops and programs who are now working at the farm or elsewhere in the community. When you visit City Rising Farm you will see her work still going strong in all of us she left to carry on. ​Just as she told us we should and would! Our Mrs. McGregor's House IOBY campaign goal was reached. Thank you to Mrs. McGregor's family for allowing this tremendous resource to remain in the community! Look for things to start happening soon! The grateful and humble City Rising Farm Team. Please help us make Mrs. McGregor's House Homestead Education Center a reality! Please help us maximize this wonderful opportunity. All donations are tax deductible. 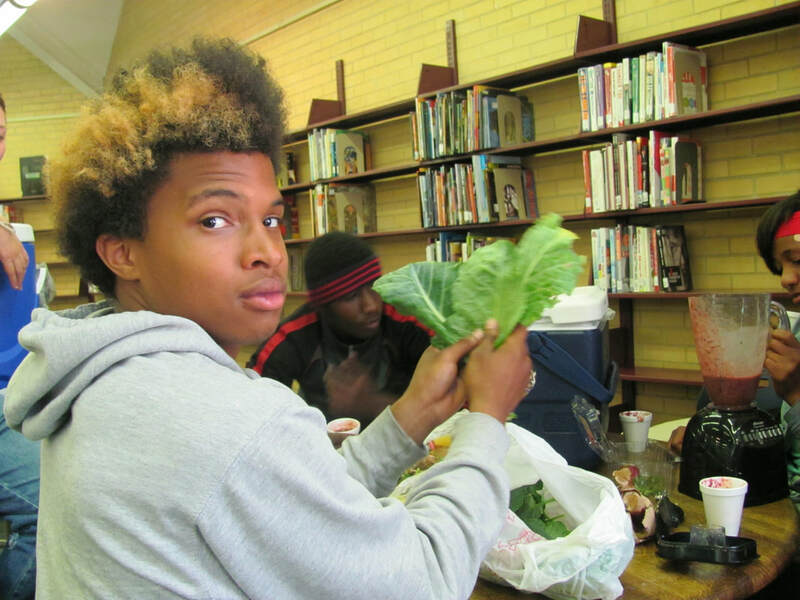 Your donation will help keep urban agriculture and community network building education available where it is most needed and expand what we can offer in the future! City Rising Farm is open to everyone. The links to the campaign and our website are shown below. Our beloved Mrs. McGregor passed away in 2017. The treasures of knowledge and love she shared with everyone will be greatly missed. Mrs. McGregor's family recognized the importance of the work that she did in the community was and how her "house " and gardens were a stabilizing factor in our neighborhood. With that legacy in mind her family is so graciously allowing us to transition Mrs. McGregor's home into a Homestead Education Center that will be owned by City Rising Farm, a non-profit entity in the Hough Neighborhood. This will allow City Rising Farm to expand the programs we offer which are free to everyone no matter where they are from. The focus of the programming will be urban agriculture, community network building, and a junior and inter-generational docent program to start. 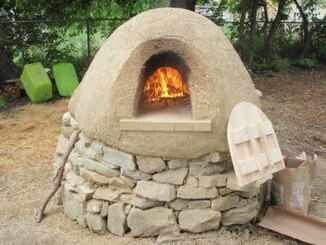 In order to make the "Homestead Education Center" happen we must raise $6200. We have started an IOBY (In Our Back Yard) campaign to help us accomplish this. It is with humble hearts and the sustainability of our community in mind that we, the City Rising Farm Team ask you to support this effort. The link to our campaign is shown below. All donations are tax deductible. know where to apply the funds. 3. If you would like to receive a tax receipt for your check donation, please include a note with the check requesting a receipt and list your name, email address and phone number. *ioby does not process cash donations to campaigns. Please feel free to contact us with any questions and/or suggestions.